The Winnipeg Police Service seized a number of guns from a home in the St. John’s area on Sunday after they spotted what looked like two rifles being placed on the roof. Around 10:20 p.m., patrol units, the tactical support team, the K9 unit and the AIR1 police helicopter went to the St. John’s neighbourhood after a report regarding yelling and multiple gunshots. 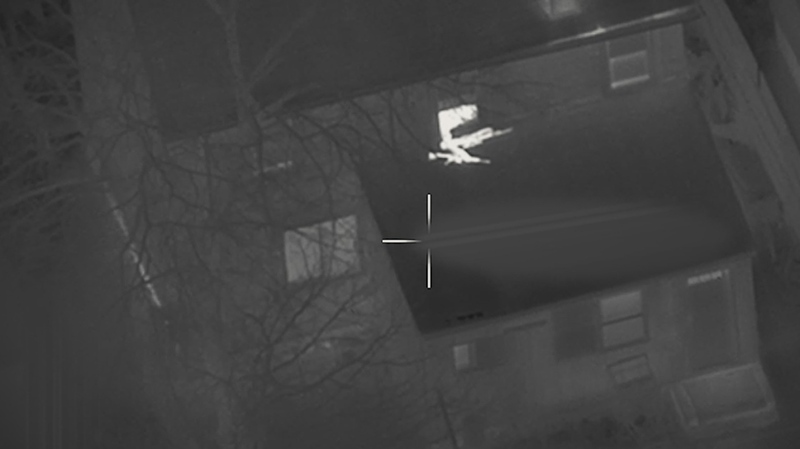 When officers got there they couldn’t find the source of the noise, but then at around 10:30 p.m. officers in AIR1 spotted someone open a window and place what looked like two rifles on the roof. Police said a short time later someone took the guns back inside. Officers went to the home and took people inside into custody. - A .30 calibre bolt-action rifle. Police said no one was hurt and it’s not known if the guns were fired. Winnipeg’s Russell Ducharme, 19, and a 17-year-old boy from Grand Rapids have been charged with a number of offences in connection with the incident. They are in custody. A 16-year-old girl, a 22-year-old woman and a 45-year-old woman have also been arrested. They were released on a promise to appear in court.